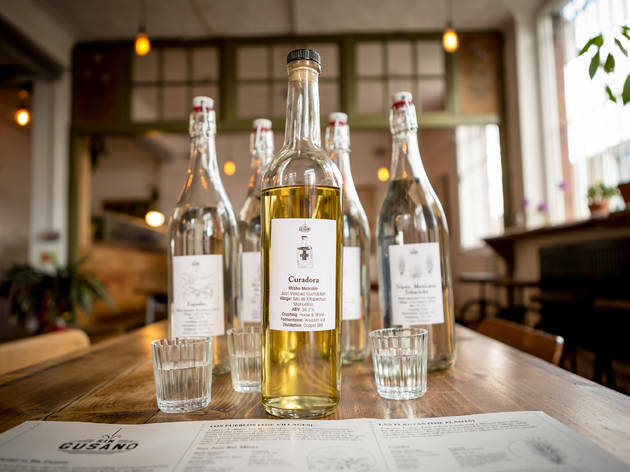 A mezcaleria bringing a touch of Oaxaca to east London. 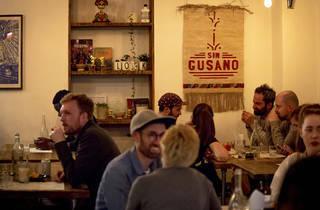 Please note, Sin Gusano’s residency at Curio Cabal has come to an end. Time Out Editors, January 2019. 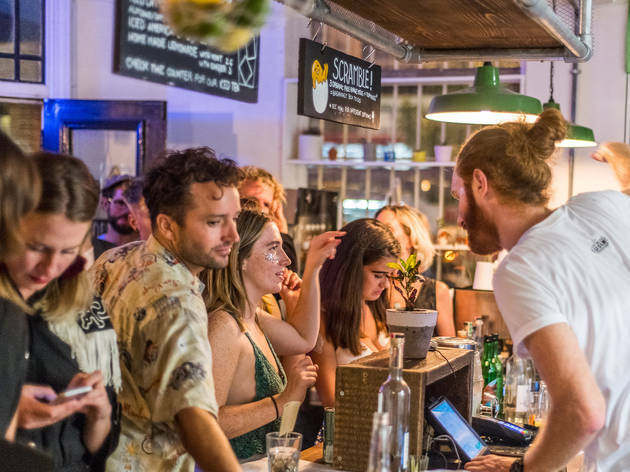 If you’ve never tried mezcal before, this bar seems confident that you’ll be a fan of the underrated spirit after you visit. That’s what happened to its owner, Jon Darby, after coming across tequila’s smokier, more seductive cousin on holiday in Mexico. 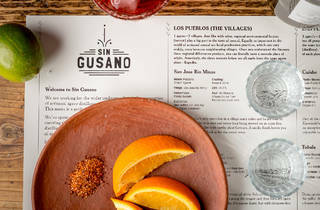 He quit his job in the City to start Sin Gusano, a pop-up billing itself as London’s only dedicated mezcaleria. Bedding in for a residency at Curio Cabal on the Kingsland Road until the end of the year, the look inside is charmingly higgledy-piggledy, with whitewashed walls, dark-wood tables and exposed lightbulbs dangling from the ceiling. There’s also a lovely covered area outside (you know, for extra smokiness). The only spirit on offer is mezcal (of course) sourced from Oaxaca in Mexico, and the most daring way to drink it is by the flight. 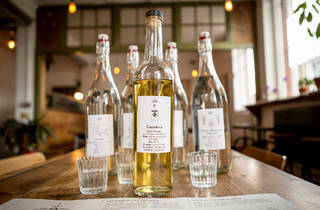 Three measures of mezcal make up a fresh flight each week (starting at £17), with each distilled a slightly different way. The menu is so overwhelmingly informative about the particularities of the production process, reading it makes your brain hurt. I tried one made from wild agave hand-distilled in a clay pot, one that tasted a bit like bubblegum, and one that was 48 percent ABV. 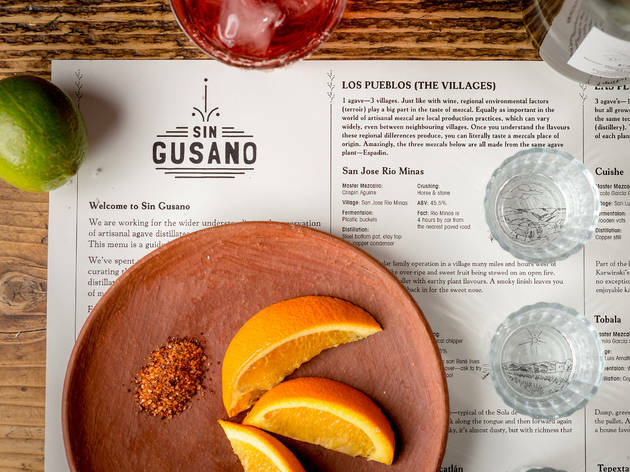 Each went down smoother than tequila (dangerous), especially since they were served with juicy slices of orange and sal de gusano – a traditional salt spiked with ground-up agave worms (!). 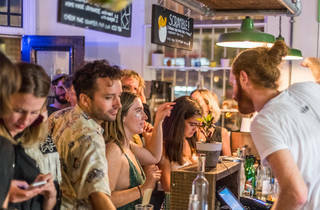 But to experience the spirit at its most smouldering, order a mezcal margarita, which was sharp but at the same time wonderfully warm, smooth and almost spicy. 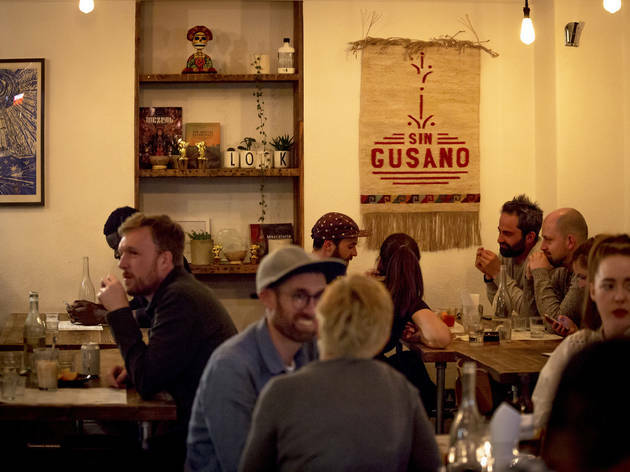 There are decent tamales on offer, but every penny you spend in Sin Gusano should be on mezcal – you’re getting an education thrown in as part of the bargain.